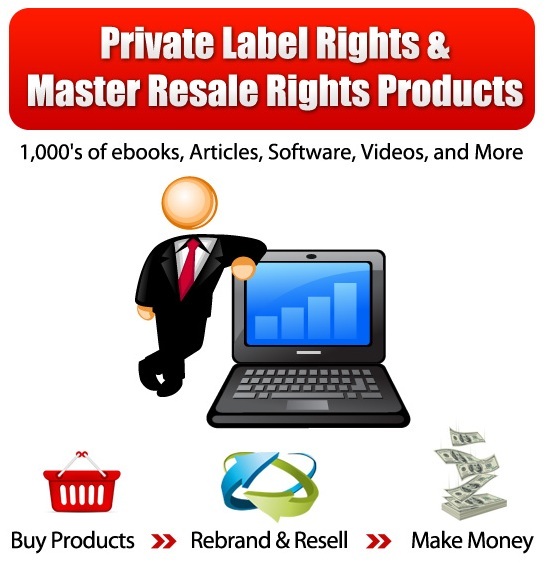 We carry 1,000's of Private Label Rights (PLR) and Master Resale Rights (MRR) ebooks, Articles, Software, Videos, and more for your own use or to resell to your customers. We thank you for your business and encourage you to return often as we regularly update our product inventory. You can find products your interested in via our Categories List or our Search Box. After you make your product selection and payment, you will receive an email that contains the download links to the products you ordered. For Private Label Rights (PLR) and Master Resale Rights (MRR) products, you can use the products for your own private use and rebrand and resell the products to your customers. You can make money with Private Label Rights and Master Resale Rights products many different ways. For example, you can setup a product website, product store, or blog and sell your product to customers. You can also review our RESELL RIGHTS FAQ for more tips on how to make money with Resell Rights Products including Private Label Rights and Master Resale Rights products. If you have any questions or issues, you can always reach us via our Contact form. We always try to respond to you within 24 hours.